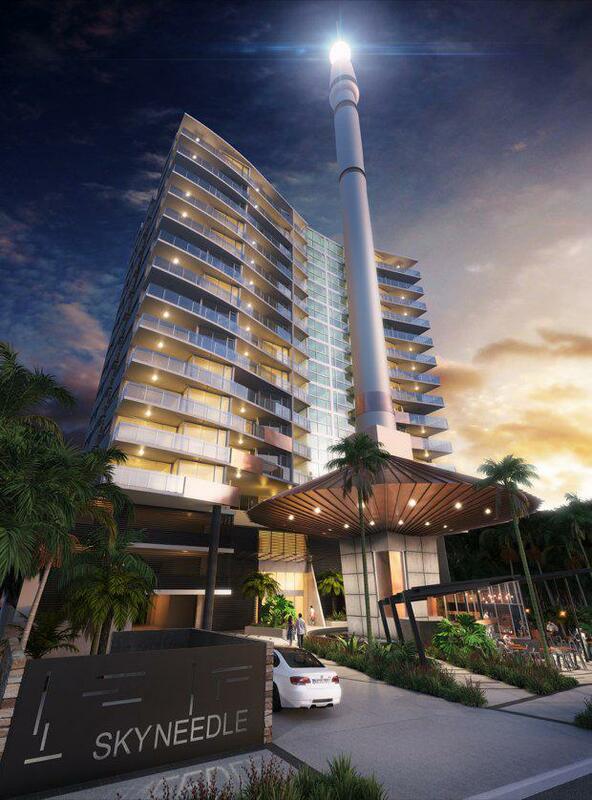 Developer Pradella has officially started construction on the first stage of a $125 million dual tower community centred around Brisbane's SkyNeedle. SkyNeedle, an 88-metre pillar, was a key feature of Brisbane's World Expo in 1988, and today remains a prominent marker on the city skyline. Pradella Director Kim Pradella joined Brisbane Lord Mayor Graham Quirk to officially launch the start of construction on the first tower, comprising 110 of the total 237 apartments in the project, which will incorporate a refurbished SkyNeedle as part of its design. RCC Builders was appointed to build SkyNeedle Apartments, which will be delivered in two stages complete with a cafe at the base of the second tower and a tropical garden oasis with a pool and barbeque terrace for the exclusive use of residents. More than 70 per cent of apartments in the first stage have already sold for a total of $38 million. 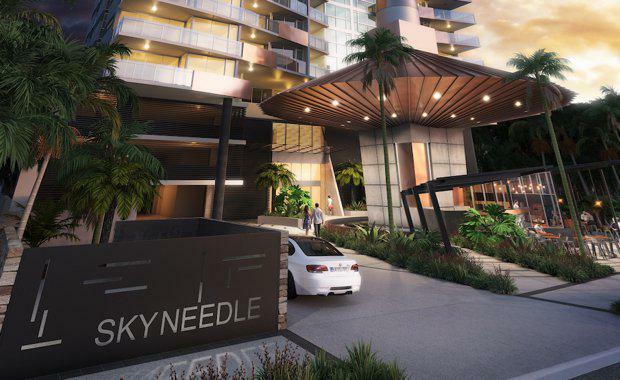 "SkyNeedle will be a transformative project for Brisbane," Mr Pradella said. "We are taking an internationally recognised symbol of Brisbane's foray onto the world stage with Expo and making it the hero of a project that will be a marker of Brisbane's next 'coming of age'. "Brisbane is evolving into a new world city and it's important that as we usher in this next chapter of growth, we recognise the foundations this fantastic city was built on by preserving monuments of the past, like the SkyNeedle and the old gas and light station. "Mr Pradella said the project's first 11 level tower will be expected to reach completion by late 2018 to early 2019, in time for SkyNeedle's 30th anniversary since making its debut at Expo 88. SkyNeedle is being built on a 3,600 square metre site at 18 Edmondstone Street, South Brisbane.